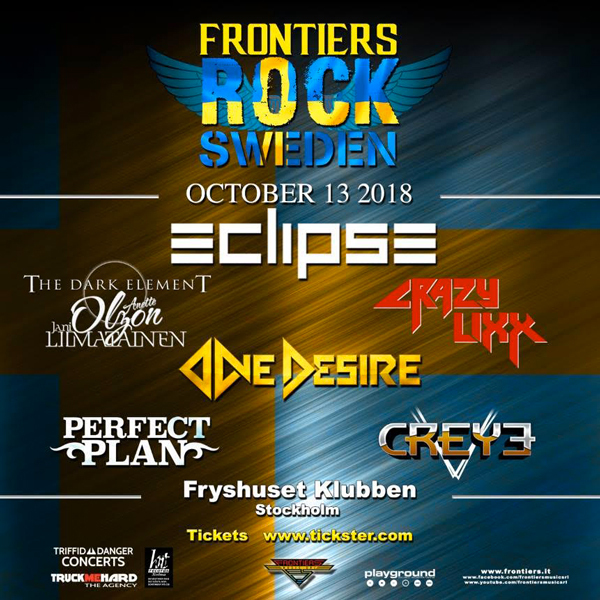 Following successful label showcases in Milano, IT and Los Angeles, CA, Frontiers Records, in collaboration with Triffid and Truck Me Hard, is pleased to announce the inaugural edition of FRONTIERS ROCK SWEDEN, a new label festival which will be held at Fryshuset Klubben in Stockholm on Saturday, October 13, 2018. One of the most popular and loved Frontiers acts is back in Stockholm for a very special show which will feature some interesting musical surprises to be announced very soon! Put as any Eclipse fan knows, those surprises will just be the cherry on the top of the sundae, as the band ALWAYS delivers live! The awesome and critically applauded musical project featuring Anette Olzon (ex-NIGHTWISH) and Jani Liimatainen (ex-SONATA ARCTICA, CAIN’S OFFERING) will be making a special live appearance with a set featuring tracks form their superb debut album! It wouldn’t be a party without a raucous set from these awesome rockers from Malmo! The band is also planning some surprises for their set which will announced very soon! This Finnish melodic rock quartet blew everyone away with their self-titled debut in 2017 and are currently working hard on their second album. They’ll take a break from the studio to come and rock the house and your face off! Hot on the heels of their live debut at Frontiers Rock Festival in Italy, the new band from Örnsköldsvik that has melodic rock fans everywhere singing their praises, will come down from the north to showcase songs from their heralded debut. One of the most promising melodic rock acts around, Creye recently played Melodicrockfest and will play Rockingham coming up too. Don’t miss your chance to enjoy their awesome brand of melodic rock, just one day after their self-titeld debut album is released! 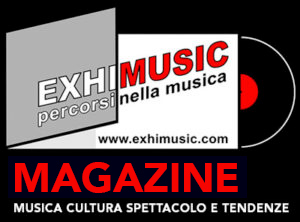 Oggi è Sabato 20 Aprile 2019 – Sono le ore 10:34.